Vacuflo central vacuum systems are manufactured by H-P Products. Founded in 1945 as a tubing manufacturer, they manufactured their first central vacuum, the Vacuflo True Cyclonic, in 1955. Since then, H-P has focused on developing innovative products that are affordable and convenient to use. Vacuflo is now an internationally recognized brand with a reputation for high-quality vacuum products. You can find Vacuflo on the market in the U.S.A, Canada, South America, Belgium, Germany, Africa, Austria, Italy, Japan, Australia, and China. Can I Upgrade My Vacuflo Central Vacuum Accessories Or Replace My Power Unit? Absolutely! 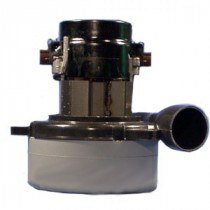 At ThinkVacuums.com we carry a large selection of replacement parts, hoses, and motors that will work with your existing Vacuflo central vacuum system. If you prefer to upgrade your power unit, we will be happy to give you a recommendation based on your home size and cleaning preferences. Just give us a call at 1-800-322-2965 and one of our expert customer service technicians will be happy to help you find the right central vacuum power unit for your unique needs. Healthy environment: One of the greatest advantages that Vacuflo has over standard vacuum cleaners is that it actually removes germs and dirt from your home. If you clean your home using portable vacuums then you will notice that it doesn’t remove odors as well as certain dust particles. But using the MaxAir system by Vacuflo, you can remove 100% of the vacuumed dirt, odors, and dust from your home. As you are aware of the fact that 50% of all illnesses are actually caused by the polluted indoor air; Vacuflo ensures that your home doesn’t have any polluted air. Innovation: H-P Products, Inc. is the company that makes Vacuflo vacuum systems and they have always created innovative products for the central vacuum industry. 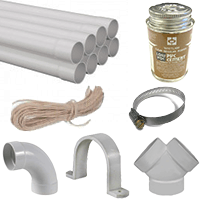 Most of the products are built to last and are of high quality but at the same time available at reducing costs. Vacuflo systems have been created while focusing on key elements like affordability, convenience, and easier installation. Mission: Vacuflo’s mission revolves around providing a powerful line of residential built-in vacuum systems as well as components that have higher cleaning power, and can offer good indoor air quality at an affordable price. Powerful and Quiet: Each of the Vacuflo units has been designed in such a way that they offer powerful yet quiet operation. These power units have been constructed from steel and their finishing has been acquired using a tough powder–coating, which resists rusting, chipping, and scratches. The True Cyclonic VACUFLO® Power Units have been created in such a way that they can provide sustained or continuous cleaning power. This has been made possible by creating a mechanism for separating all the dirt from the actual airflow. Most standard vacuum cleaners rely on filters and bags and Vacuflo doesn’t and this is why it cleans better. Cyclonic Filtration Technology: VACUFLO’s Cyclonic Filtration Technology™ is able to create a powerful centrifugal force, which is able to separate dirt and debris from its natural airflow. This basically means that when you are using the vacuum, the dirt suspended in the air will spin around due to the force of the air pressure through the cyclonic cone of the vacuum. 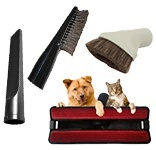 This helps in depositing 96-98% of the vacuumed dirt into a built-in easy-to-empty canister. The 2-4% of the fine dust particles that remain will be exhausted outside. Cyclonic Filtration Technology: The Cyclonic Filtration Technology offered by Vacuflo in their vacuum systems is a unique dual filtration process. This process basically utilizes cyclonic separation for both primary filtration as well as secondary filtration. Most central vacuum systems rely on a permanent cloth filter but since Vacuflo offers a dual filtration technology, it is able to perform effectively even when dirt accumulates. CFT or Cyclonic Filtration Technology as it is known actually creates a centrifugal force that increases the effectiveness of this vacuum cleaner. The Vacuflo vacuum systems are considered as one of the best in the market due to their powerful motors, high effectiveness, and dual filtration process.